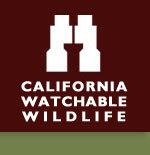 Walk on the Wildside highlights local efforts to protect and restore Central Valley habitats. a live animal show by Wild Things, Inc., music by Cliff Compton and Mountaintop, children’s hands-on activities, informational exhibits, and more! This event has been viewed 972 times.